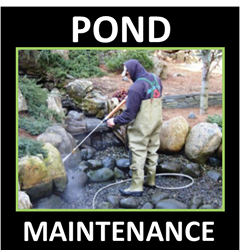 Pond Algae is among one of the most common problems pond owners in Maryland (MD) will face with their ponds. 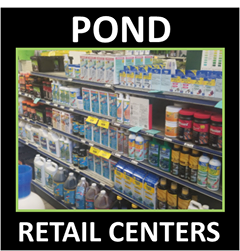 Understanding the basic principles of Pond Algae types will save you time, money, and headaches in your water gardening adventures … If you can't figure out any solutions, Our Maryland contractor members can provide you with pond algae solutions! Pond algae is unsightly to most pond owners. Finding a balanced growth of healthy algae is really quite easy once you have a general understanding of a few basic principles and water treatments. 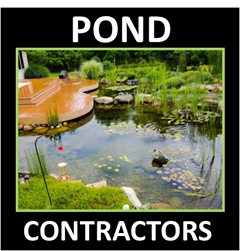 As long as you remember, "There is no such thing as an algae free pond", you will have a better grasp on the subject when dealing with pond cleaning in the spring or fall. Which Type Of Algae Do You Have ? Pond algae is a sign of a healthy ecosystem. Typically a new pond, a year old, or less, may experience a couple of stages where algae is more prevalent than on that of a mature pond even if you have a regimented water treatment routine. Even on mature ponds here in Maryland, it is not uncommon to experience algae blooms during the change of seasons from winter to spring or during the hottest days of summer when we get extreme heat waves. Did You Just Buy A House With A Pond ? Are You Experiencing Algae Blooms ? ​​How Do I Tackle Pond Cleaning ? ​Can My Pond / Be Repaired ?